Blog Get in touch Find Us! HomeJewelleryKeepsake Cards Shop Our Shop... Shop Jewellery Shop Keepsake Cards Custom Designs BlogGet in touchFind Us! We are Mother and Daughter team, Wendy and Hannah Richardson (...oh, and Bertha the laser cutter!) We design and create a whole range of products, from wooden keepsake cards for that special occasion to unusual acrylic jewellery to go with any outfit. We also offer a laser cutting service. We design around themes that we love, which include science, space, geekery, nature and music! We aim to create designs that are beautiful, but also fun.... because, lets face it, life's too short for boring jewellery!?! WE NOW HAVE A SHOP!!! We have just opened our lovely little shop in the Creative Quarter in Folkestone…. Its a shop and workshop, so please pop over and see us. We can do personalised cards whilst you wait! We can also offer a laser cutting service. 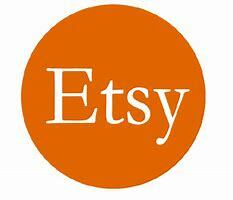 Or we are always open on Etsy…. We love what we do here at R&R, so here's a little insight into how we create our pieces.